I don’t know who Shawn Bashor is, but I found this really interesting and provoking post on his site (a link of a link of a link kind of thing). I’ve been having many similar thoughts and questions, although my conclusions are basically the exact opposite of his. When I get a ton of free time some day, I’d like to write about it. 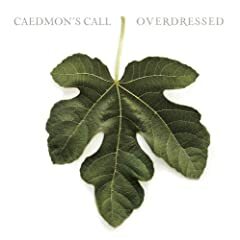 When I heard that Caedmon’s Call would be releasing a new album with Derek Webb back in the saddle, I was very excited. I’ve been a huge fan of Caedmon’s for a long time now, and when DW went off to do his own thing, I think most people would agree that the whole dynamic of the band changed quite a bit. I remember going to a ‘commissioning’ service for the Webb-less band several years ago at Providence Baptist Church. They were heading overseas for several weeks to dive into culture and make music with people of many other nationalities. The idea of the project would be an album that would inspire young 20-somethings and college students to go overseas and get involved in the world. me: Oh really, you don’t like it? them (akward look on the face): It’s just… not what I was expecting. To this day, I’m not sure whether I ever listened to the album all the way through. So here it is, 2007, and a new project with my favorite song writer in the world is back at it, and let me tell you, this album more than exceeds my expectations. Musically, it’s great, which is to be expected. I appreciate that it’s a little bit raw and leans towards the acoustic end of the spectrum. But lyrically, there are a couple of real gems, which gets me to the title of this post: expectations. When I sat down to write this post, I was planning to pick appart the language of the song and make some observations about where I think it comes from. I think it launches a really worthwhile discussion about the Church. But while googling for the lyrics, I found an interview where the band beat me to the punch. I’ll copy some of it here, but the whole interview with Trevin Wax at trevinwax.wordpress.com is good stuff…. If this was full, then why bother? This is to me the main observation on modern Christianity. It, to me, really sums up in words how that observation looks through the microscope. Failed expectations of a Savior in the light of “Christ gone corporate” modern church. It seems as if the aim of our church in this day is to be better than Six Flags with a bigger IMax screen. With salvation quotas and razzle dazzle services and the well seen perfect poise of a smiling family in a perfect world of a photography studio with no problems in life at all. The focus is off of the real Jesus and how He works in our hearts, knowing full well what lies beneath the “show” of our finest threads. Christianity has got to become more about loving the unlovable and feeding the hungry than entertaining the kids with video games and multi million dollar gyms. Churches need to let their members live amongst the real world, be involved in society but not sheltered from it. How else are we to be salt and light if we don’t ever wander into it and don’t know anyone there if we did? Churches should support their members not limit them, realizing we are all fallen and will fall again. But when times are tough the church should hold their members when they are down, truly listen to their cries and above all, have empathy because chances are, they are just like you.